Teaching traumatherapy to psychotherapists is part of my professional life for about 10 years now. I am honored and thrilled to share my knowledge and my precious body of work – IBT Integrative Body-movement Traumatherapy – with a group of pioneers, who combine their skills of being 5Rhythms teacher and psychotherapist. We will cocreate a unique space of transformation and healing and start a new clinical path within our tribe. The Integrative body-movement traumatherapy (IBT) unites the medicine of each rhythm with the tools of modern traumatherapy. IBT is a new therapeutic, resource- and process-orientated approach to release traumatic memories in the mind, the body and emotionaly. There will be a follow up weekend for supervision, exchange and special interests – f.e. special groups of clients. If you are 5Rhythms teacher without being a licenced psychotherapist see the short version "Dancing gout of Trauma" for 5Rhythms Teachers below. Each of us has had painful experiences. Stressful or traumatic memories block the natural flow of life. With the help of 5Rhythms dance, we bring the stories and body memories that come from within back into consciousness and into the dance. With IBT - Integrative Body movement Trauma therapy, changes are stimulated and safely accompanied. This leads to a new lightness, which always shows itself when we encounter our true being. Methods: IBT, 5Rhythms, 5Rhythms Movement Therapy, stabilization and individual work in the group. In “Dancing out of Trauma” is space for joy of life and humor are as well as the pain from of old wounds. To lift the pain like a treasure in the therapeutic process, and to transform it in the dance, releases strength and bound energy. Lightness and deep therapeutic work complement each other. Dancing out of Trauma is the practical implementation of the method IBT, the Integrative Body-Movement Traumatherapy. Romana Tripolt has developed IBT as a therapeutic tool that combines the effects of the latest traumatherapeutic methods with the vital power of conscious dance. The medicine of the 5Rhythms unites with the power of the innovative trauma therapy. This offer is aimed at all 5Rhythms Teachers who wants to work with there own wounds and get some basic knowledge about trauma and dealing with trauma and dissociation on the dancefloor. because they didn't live it." 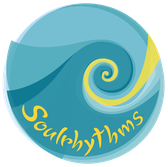 We will move our body using the map of the 5rhythms to explore ourselves: What is moving? What is moved? What is moving me? What is moving through me? These and many more questions may arise in the dance. We give form to whatever is moving through us. Conscious, reflective, focused on the dance, moving, sweating, surrendering, moving ....dancing the unique rhythms of our soul. 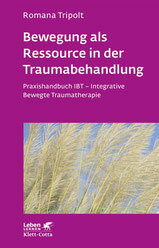 Developer of Integrative Movement Traumatherapy - IBT.